I have gone through periods in my life when I don’t have many indoor plants or container plants outside. 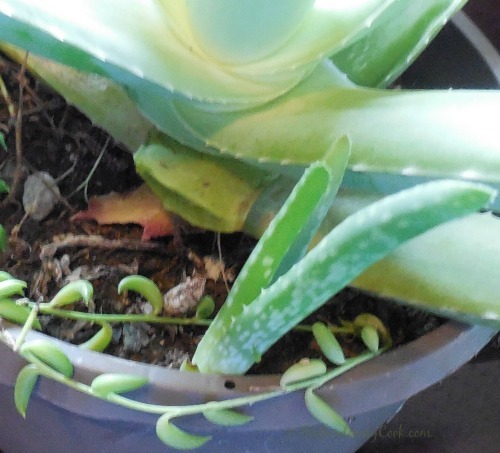 But there is one plant that I have always seemed to have on hand, and that is an aloe vera. I love succulents, but that is not the reason that I always have the plant. The medical benefits of aloe vera are many, so I like to have at least one of them around all the time. Right now, I have a monster that I bought as a small plant last spring. It has grown into a huge specimen with each of the arms of it at least 1 1/2″ thick. The gel in just a 1″ piece of it will cover the dry skin, to which I am prone, on both hands easily. I cut this piece off my plant to show how large the leaves are. This one is not such a pretty leaf but that does not hurt the gel inside. Normally I will just cut off about an inch to use the gel. 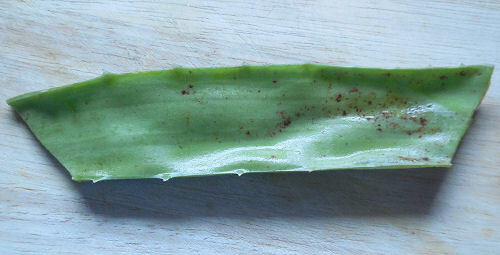 The gel of the plant can be used both externally and internally. Benefits of Aloe Vera Gel. It soothes insect bites, irritation from poison ivy and helps in the treatment of eczema. It can ease the symptoms of psoriasis, which can be very expensive to treat with normal medicines. Helps to heal hemorrhoid symptoms and pain. Will soothe and help to heal wounds and superficial burns. Aloe Vera is an outstanding skin moisturizer. It helps in the treatment of acne. 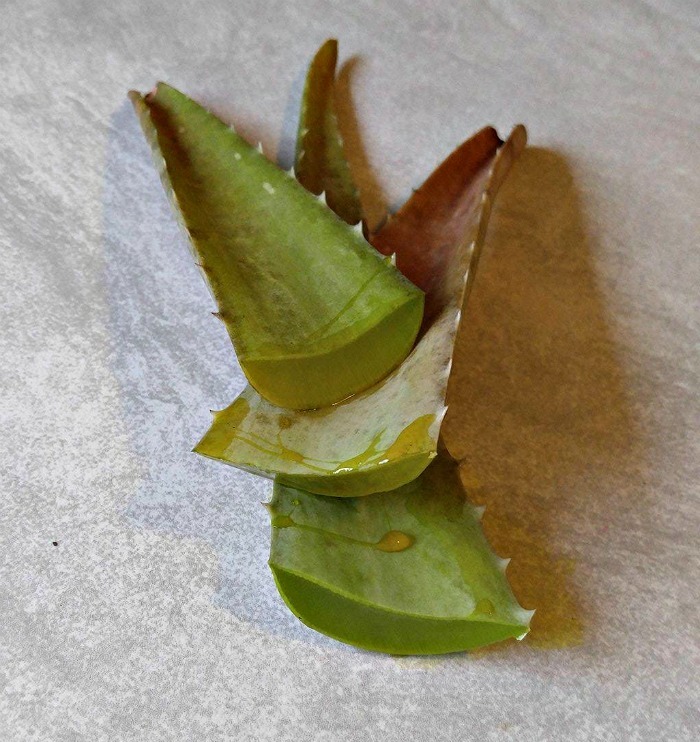 The gel of aloe vera can lower blood sugar levels. The waxy part of the outer leaf, ground and mixed with liquid, can be an effective laxative. A teaspoon of the gel after meals can soothe stomach irritation. Boosts the oxygenation of your blood. Eases inflammation and soothes arthritis pain. The gel mixed with water into a juice helps to strengthens gums and promote strong and healthy teeth. The gel when mixed with shampoo works to make for healthy hair. The Aloe vera plant is considered by many to be a miracle plant because of its many curative and healing health benefits. Today scientists are looking at whether the aloe vera juice may have benefits in curing cancer and AIDS. Aloe Vera is an easy to Grow plant for either indoors or outdoors if your zones permit. Aloe Vera can be left outside year round in zones 9-11 but colder zones will need indoor care for the colder months. Plant it in a well draining mix, such as those designed for cacti and succulents. Give it filtered sunlight. It will burn easily if it gets too much sun. Water deeply and then let it dry to about 2 inches before watering again. During the dormant season (winter months) you can water much more sparingly. Propagation is from offshoots. My plant just sent up a small pup. I can leave it in this pot or separate with some roots and remove to another pot to have an extra plant. ( I will do this since my aloe vera plant is so large now. Another way to propagate is to cut off a piece of a leaf. Set aside and allow a callous to develop over the cut edge and plant in well draining soil. It will develop roots and grow into a new plant! If you grow your aloe vera in a pot, allow the root ball plenty of room to grow. They are voracious growers, and need plenty of space to grow. Try to have your growing area three to five times the size of the root ball. Aloe Vera plants, like most succulents, have very showy flowers. They form on a tall spike in vivid red, orange and yellow colors and flower in the middle of the growing season. The yellow color shown here is much more rare. 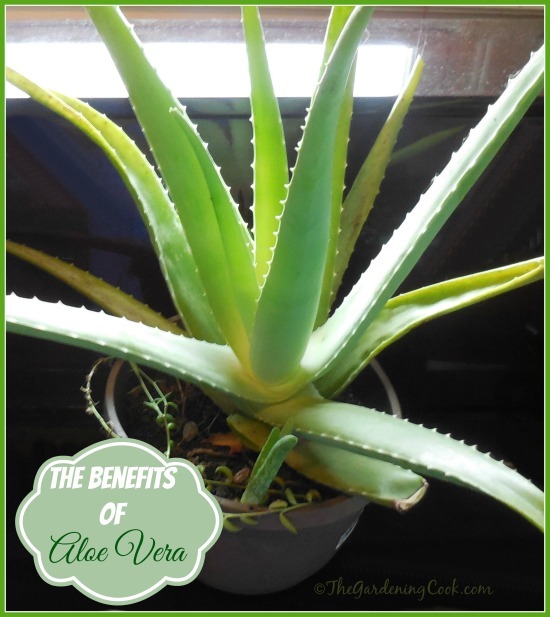 Have you found other benefits of an aloe vera plant? Please leave your suggestions in the comment section below. 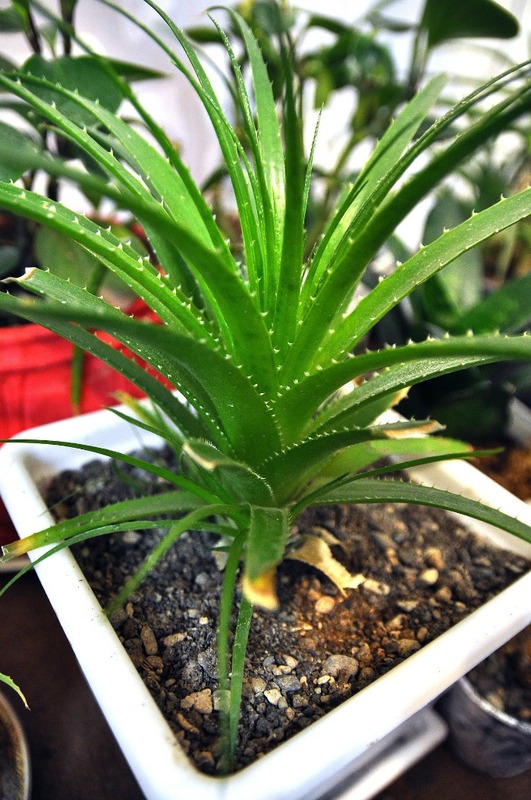 Aloe vera is a succulent plant species that probably native plant originated in northern Africa. 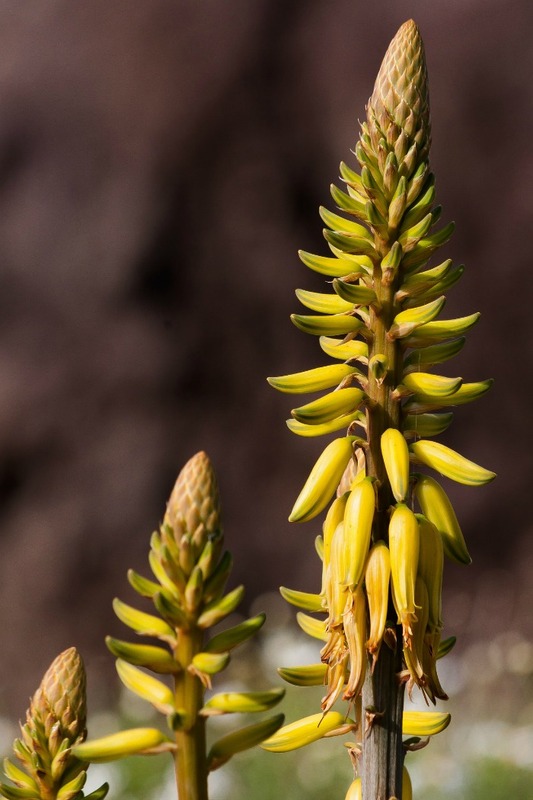 The species does not have any naturally occurring populations, although closely related aloes do occur in northern Africa. please share your recommended soil formual/mix for the Aloe Vera plants you mentioned.